Welcome to my personal blogging world, I am so glad to connect with you! My name is Rumishael C. Ulomi aka RyChris (Da-LoneWalker), a 27 years old simple guy residing in Moshi -Tanzania, the founder, writer, and designer behind RYCHRIS JOURNAL. I started this blog as an outlet to share and discuss the things that I love and a place to let loose all the thoughts bouncing around in my head as well as helping others grow and thrive Spiritually, Mentally, Physically, Emotionally, Educationally, and Economically at any given moment. Writing is my passion and vocation..Most of the time you will find me blogging about Church and the Christian Faith, Social Sector Development, Entrepreneurship, Business Tips , Family, and Life in General. First of All you should know that I am a Christian, which means I believe in God. I believe in the father, the son, and the Holy Spirit. Therefore, I am a firm Believer in Christ and the Christian Faith. Secondly, I know that I am not perfect and I am very proud of it, this is because like you, I am no angel I am human and humans do make mistake, but through Christ Jesus I am on my way to perfection. Thirdly, I don’t want to take more from this world than I could give, therefore each day my prayer is that I learn to give more than I receive. Forth, I am a Singer, Voiceover artist, blogger, a loving father to my daughter, lover of movies and music. Fifth, Family inspires me. Don't mind having a dog and cat for a pet. Not a huge fan of crawling things. In love with technology, lover of words, a strong believer in the power of imagination, a champion for entrepreneur and philanthropists who want to lead a more life changing, fully expressed life. I just love sharing insightful things to inspire others for this is what God made me to be. Lastly, I use my talent to serve in the field for God’s glory. This is a blog that portrays my daily life and what I believe. I hope you find what I share here insightful and helpful, and if you have anything you would like to share with me, please don’t hesitate. Purpose of the blog: This blog exists to share the things that interest me most and to draw believers closer to the heart of God bringing back the one and true lasting relationship between God and Man, as well as assisting them in fulfilling their spiritual destinies. My desire is to see transformation in hearts, homes, and communities through a prayer and worship lifestyle, as well as bringing Christ to the global audience. I typically post two or three times a week. Make sure you enter your email address on the SUBSCRIBE form on the main page of this website. I hope my work inspires you, as much as they have inspired me. 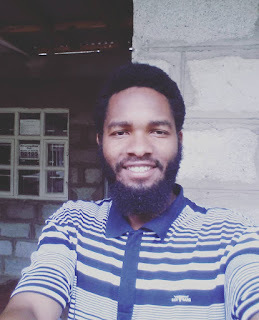 This is my personal blog, and its a blog that promotes Christian values and ideas as well as entrepreneurship and sustainable social sector development.The opinions that I express here do not necessarily represent those of any particular organization. My promise is to be truthful and honest. For this, I believe there is no better source of hope and encouragement than Jesus Christ, therefore I’m not going to compromise the truth about God or His word around the ideology of social acceptance, but I will be respectful.